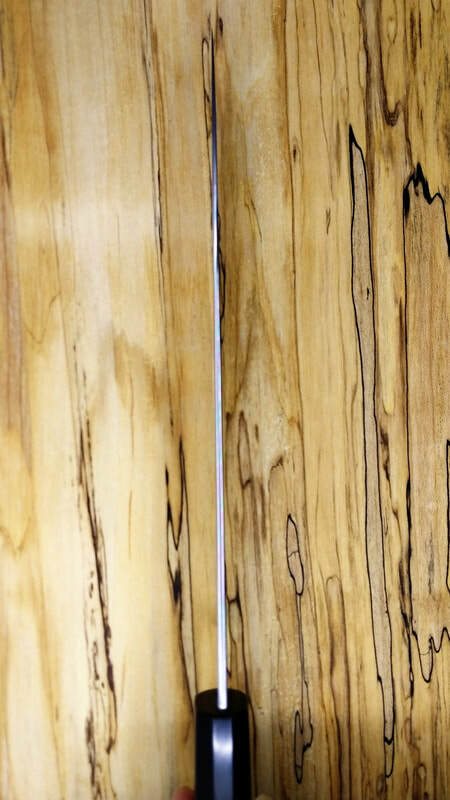 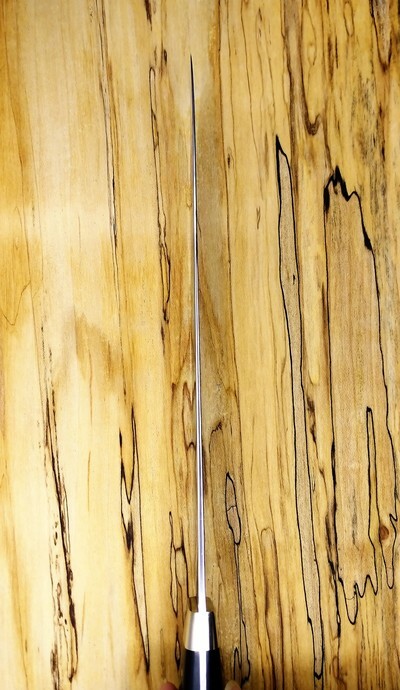 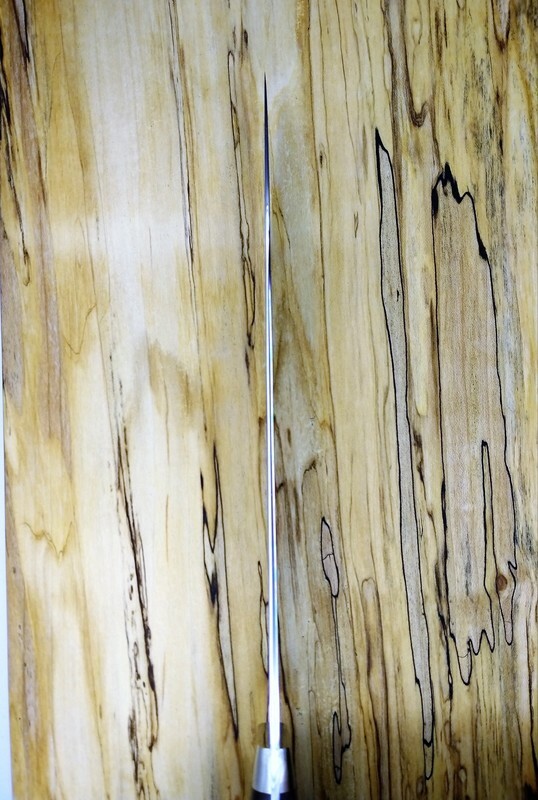 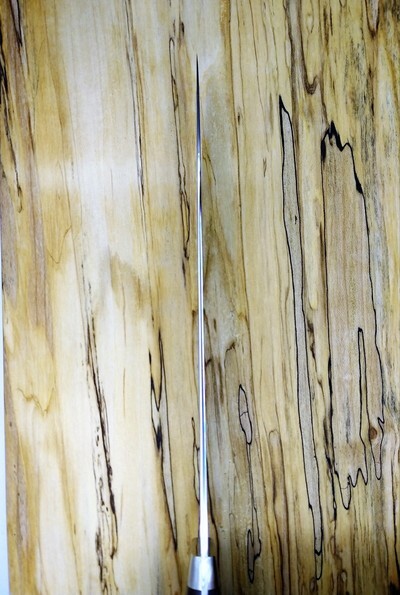 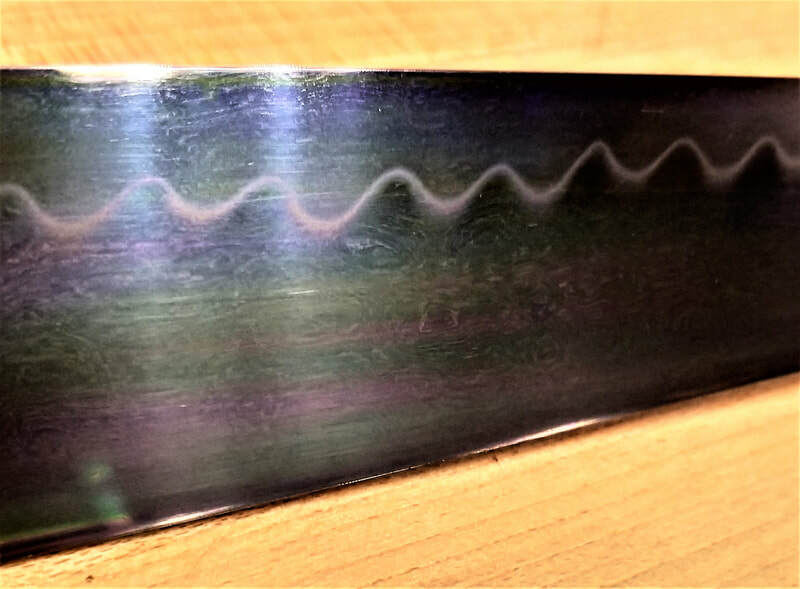 The steel banding can be seen very clearly in this shot. 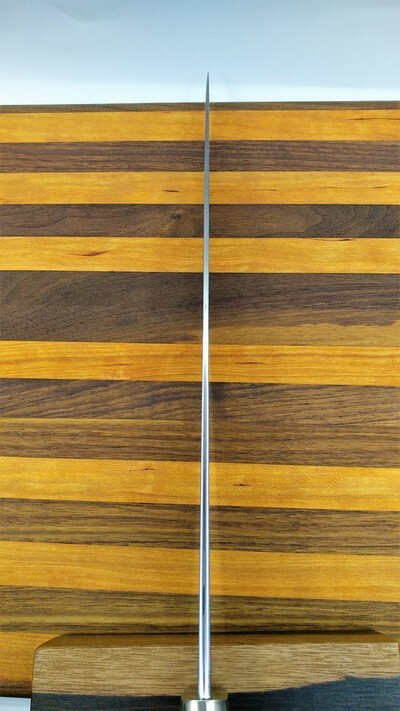 Steel banding from another angle. 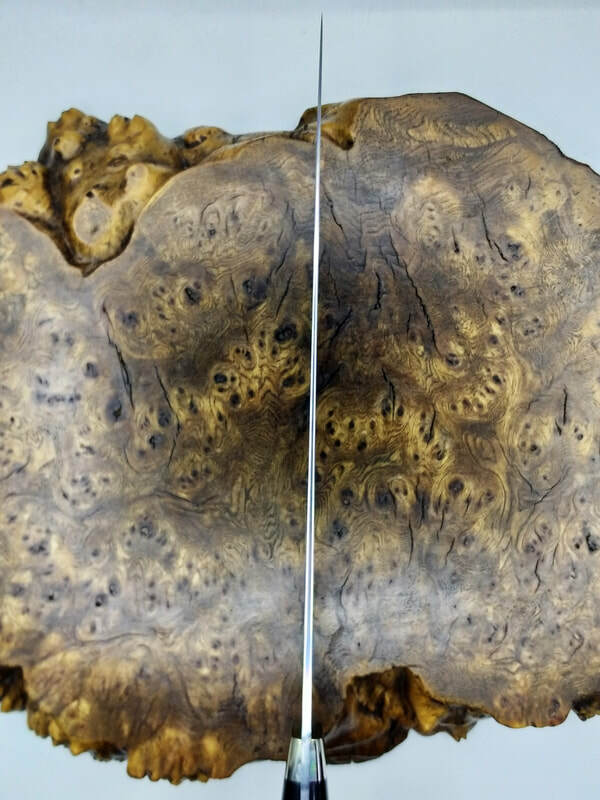 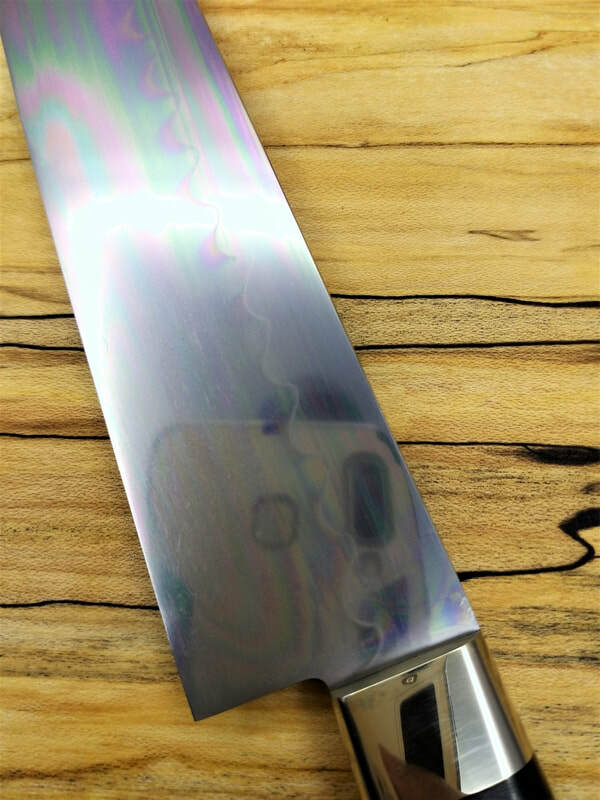 A very rare unique find, this knife was made 25 years ago. 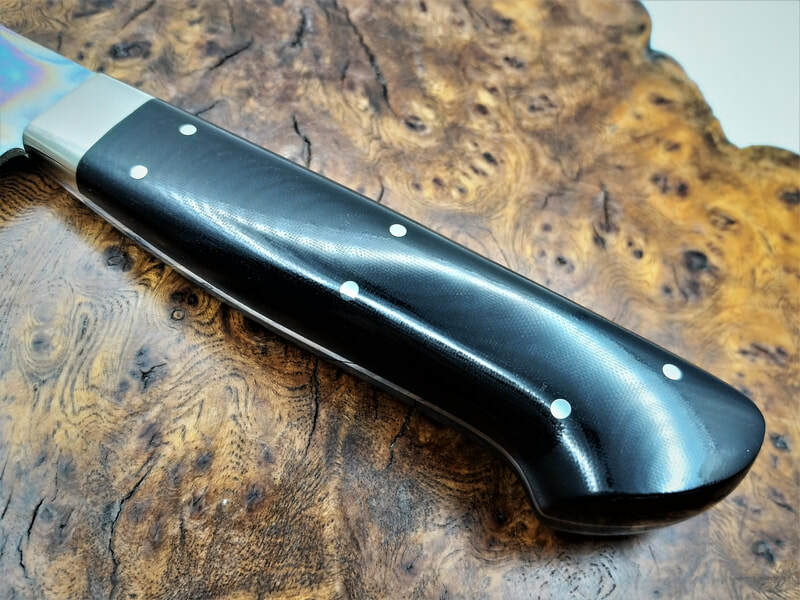 Much sought after, this collector knife was found from our dealer network, the production have stopped 5 years ago. 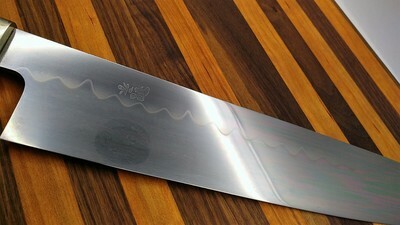 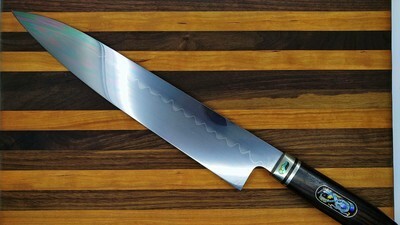 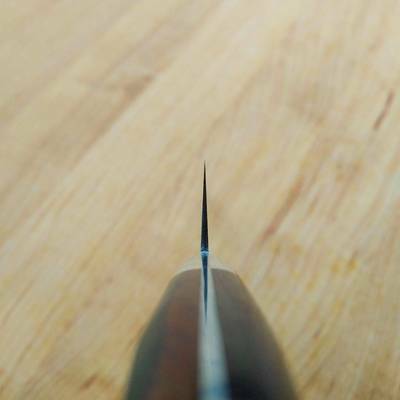 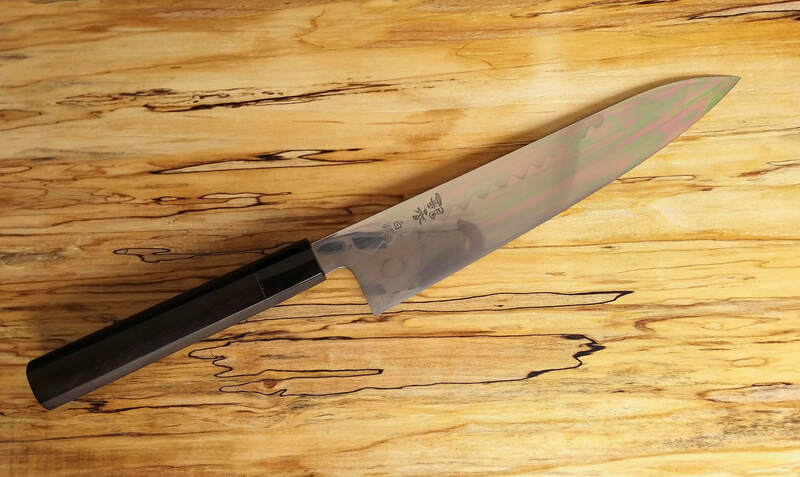 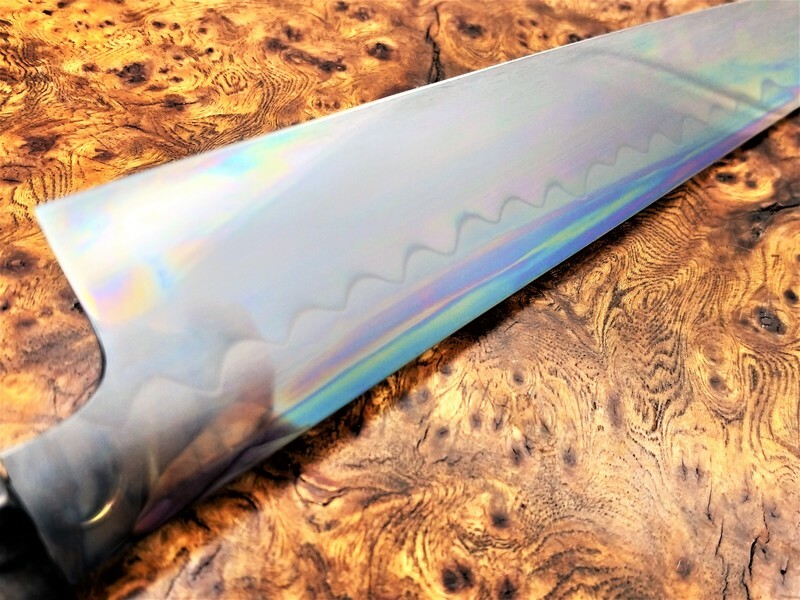 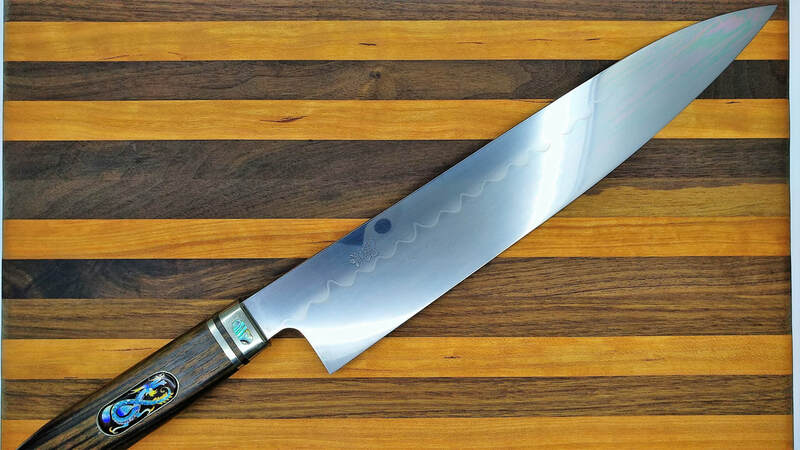 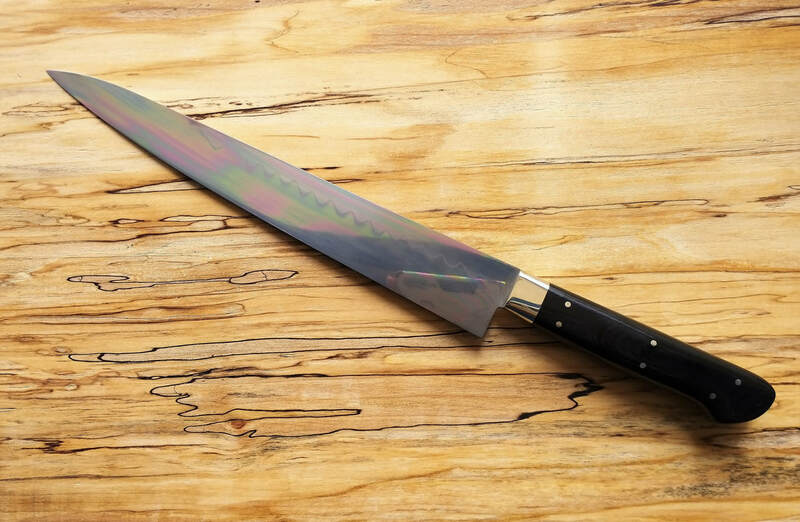 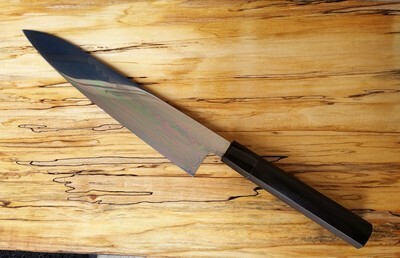 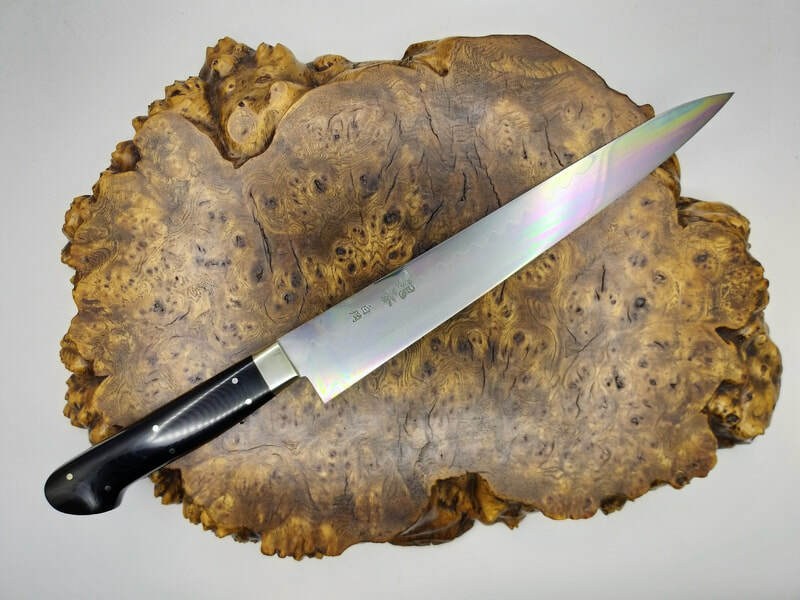 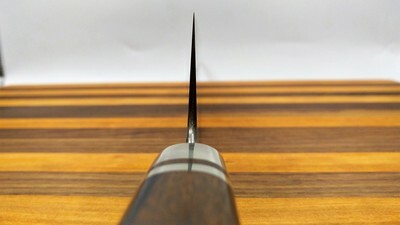 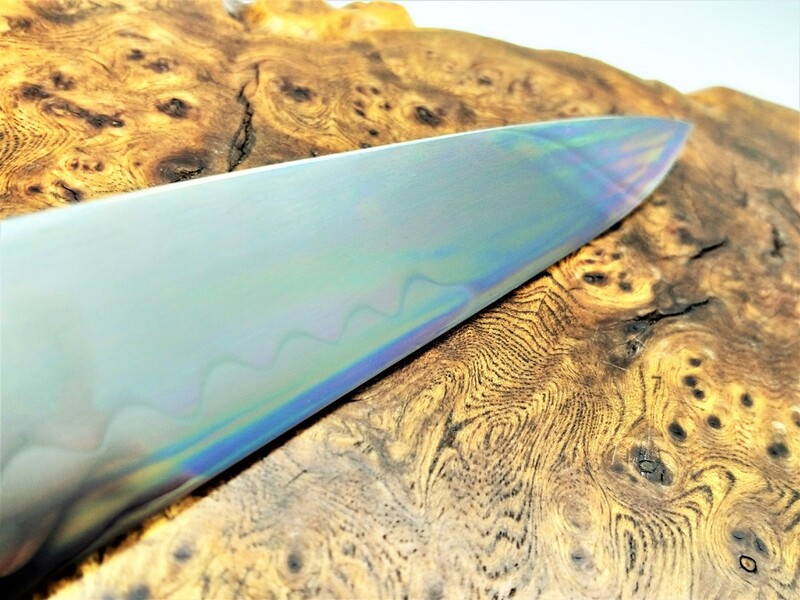 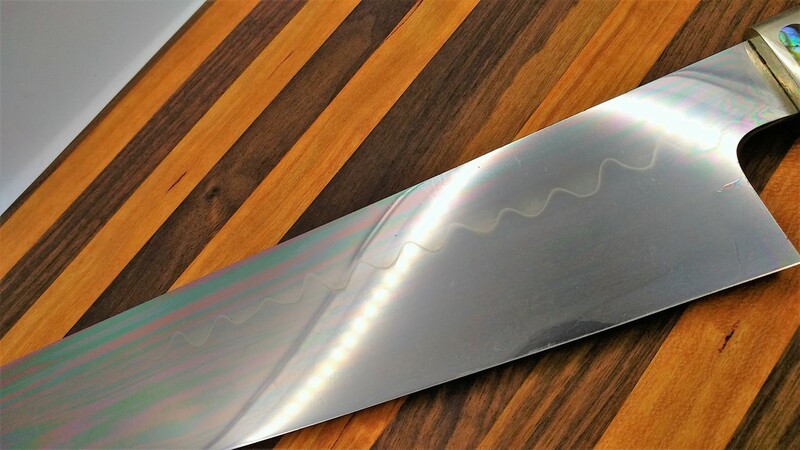 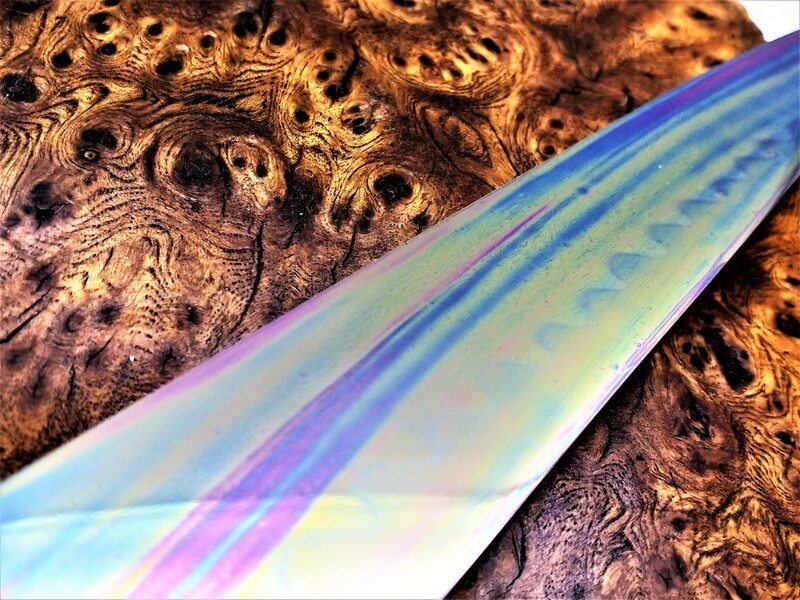 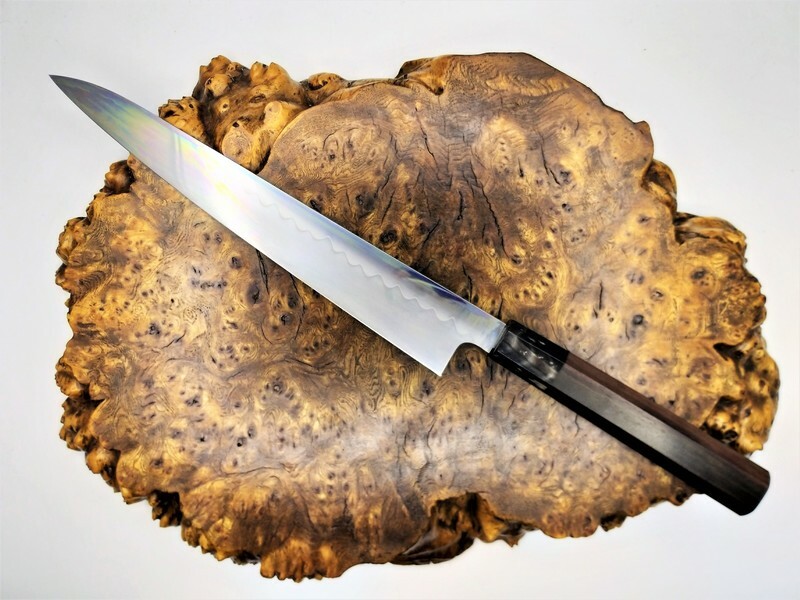 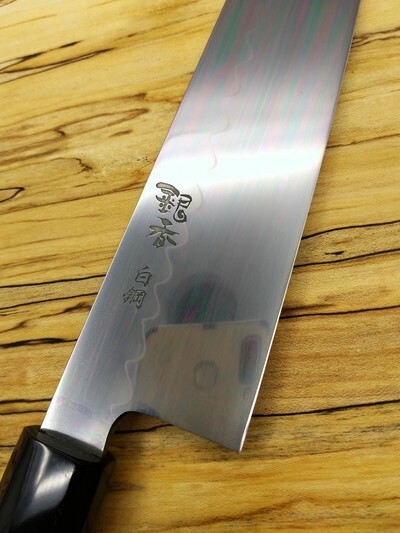 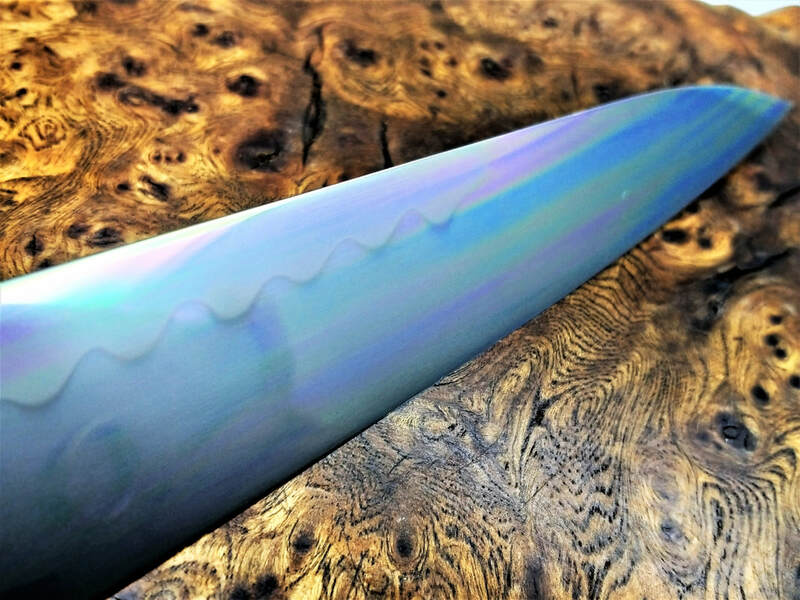 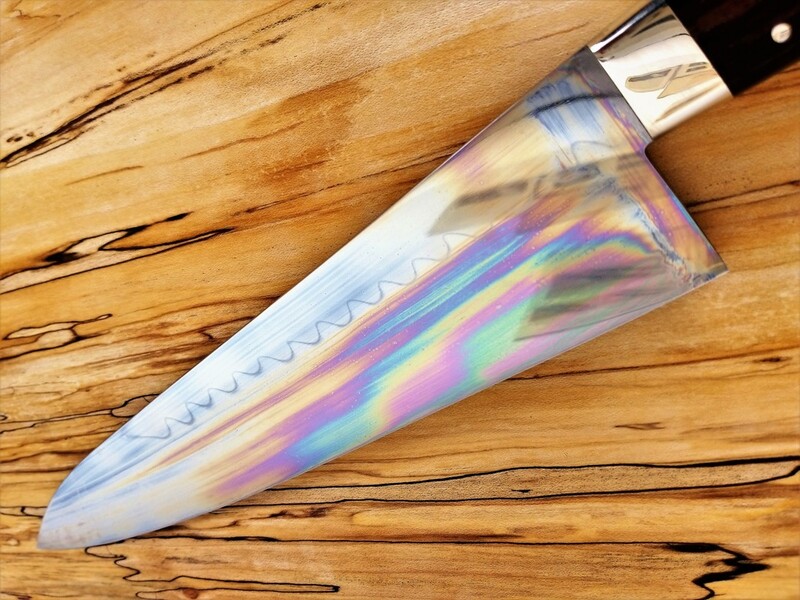 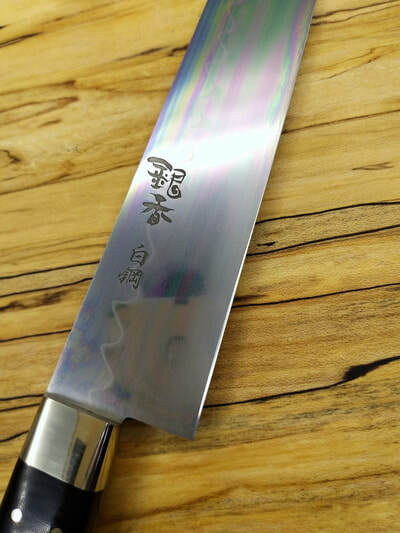 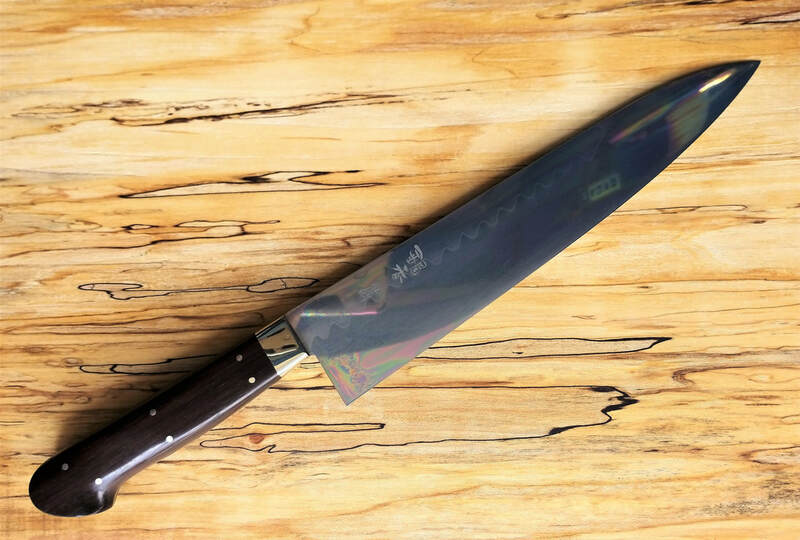 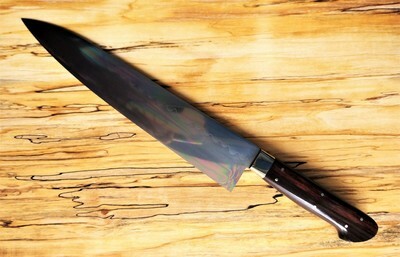 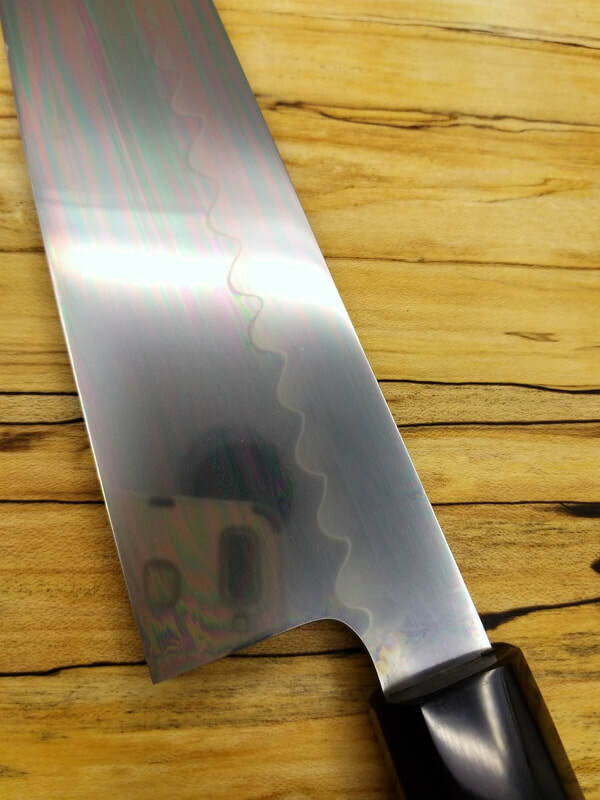 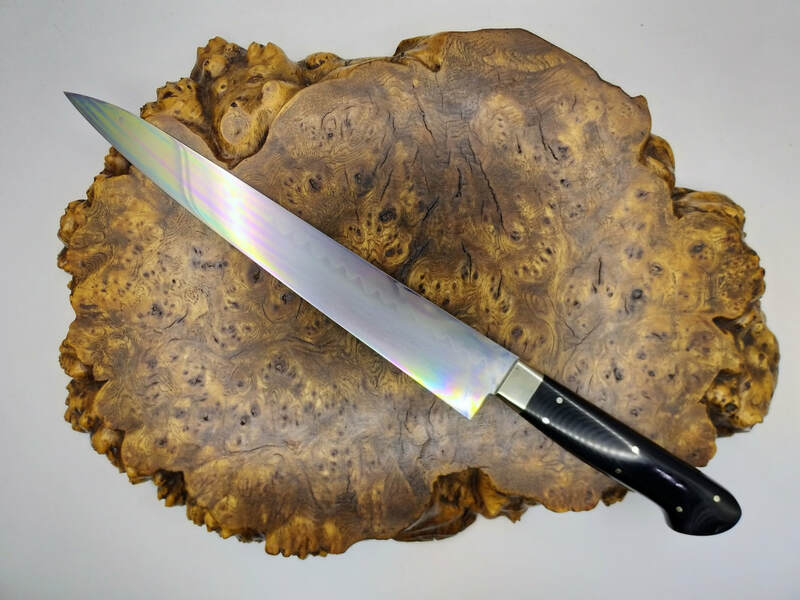 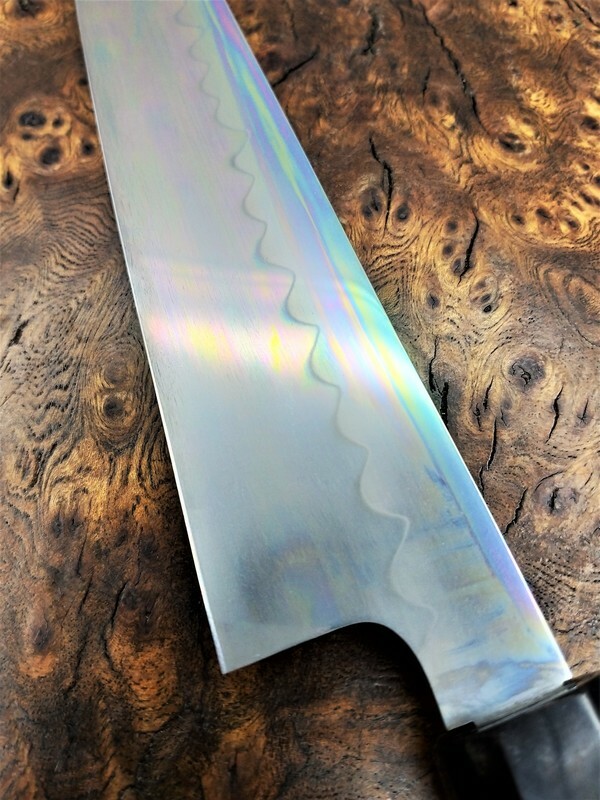 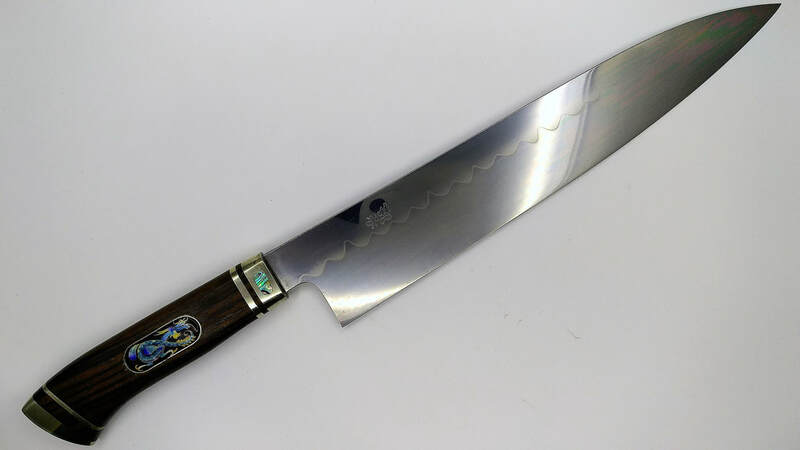 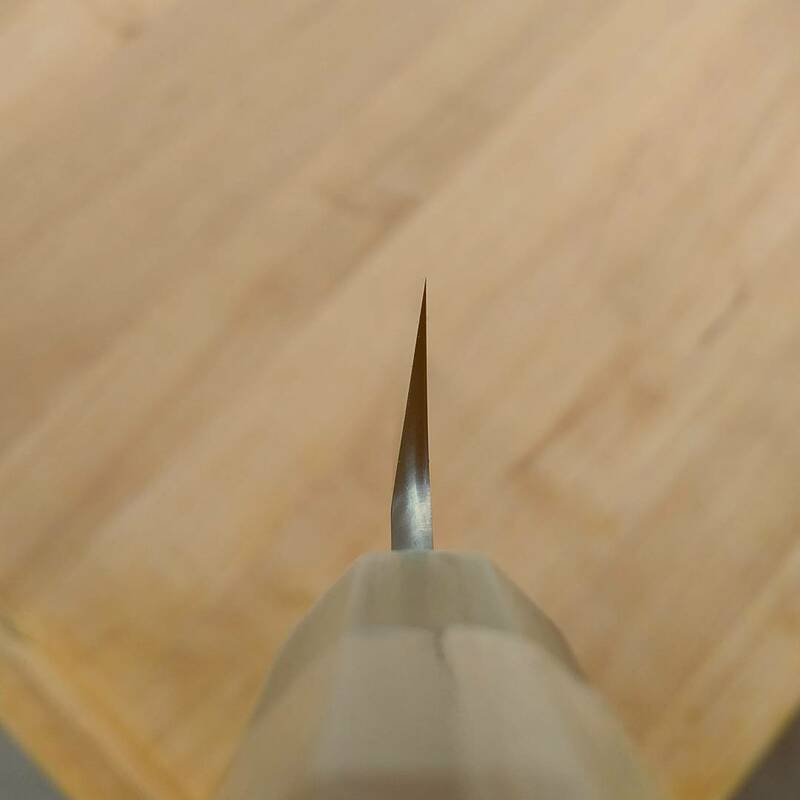 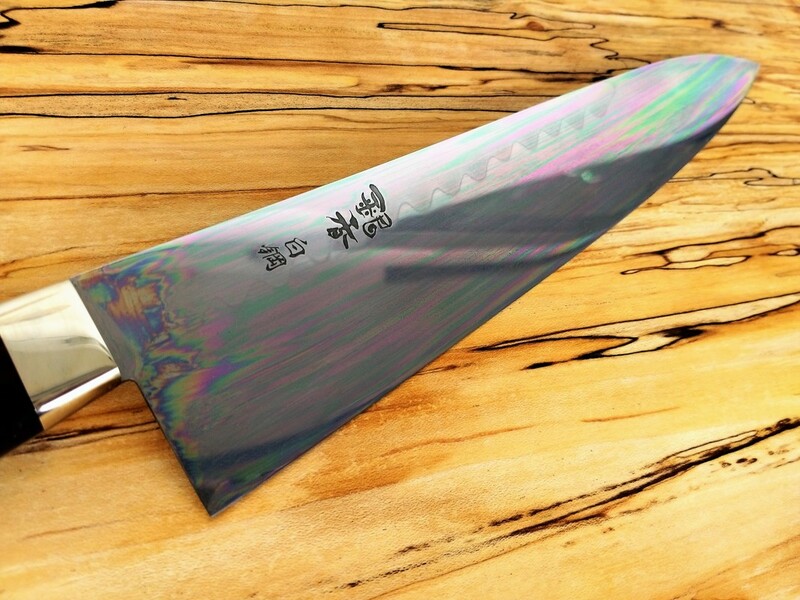 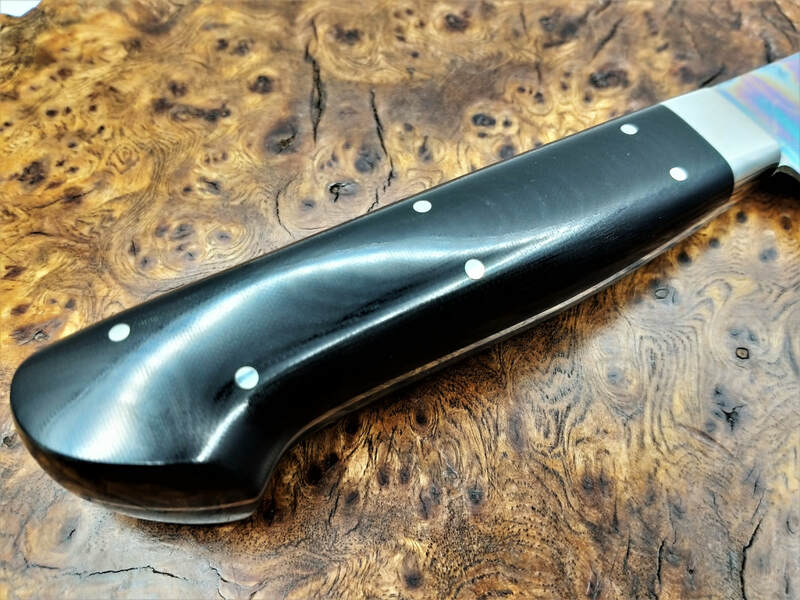 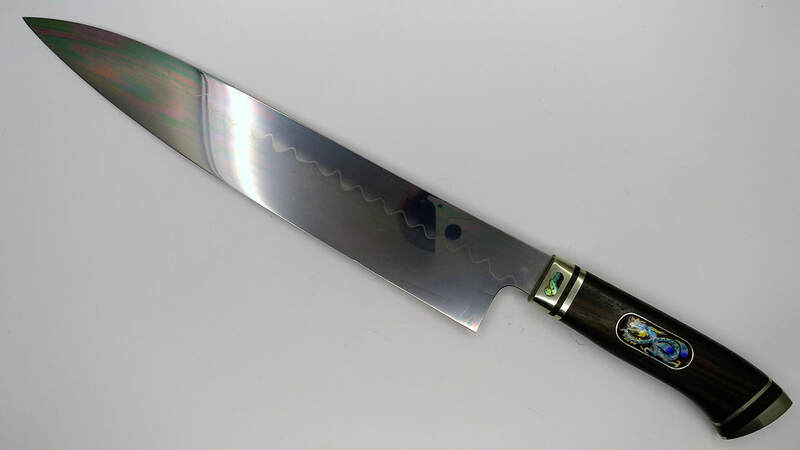 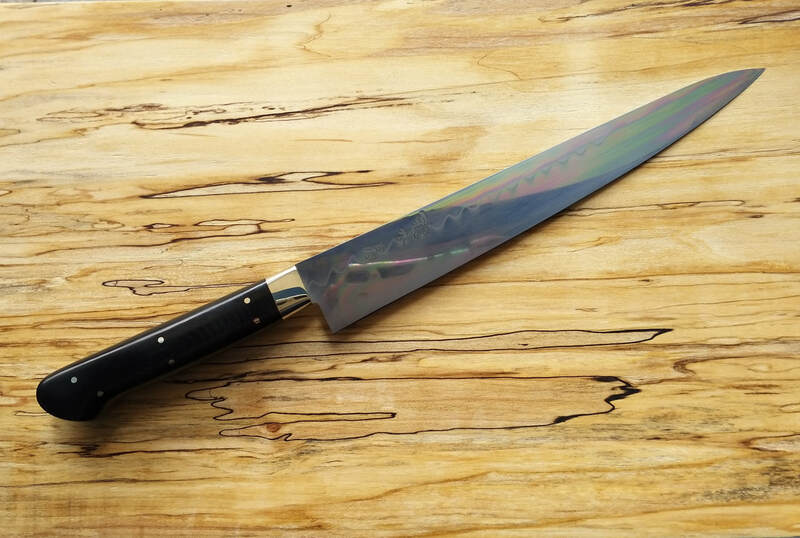 Ashi Hamon Polish is the best we seen, and the hamon on this knife is beautifully polished. 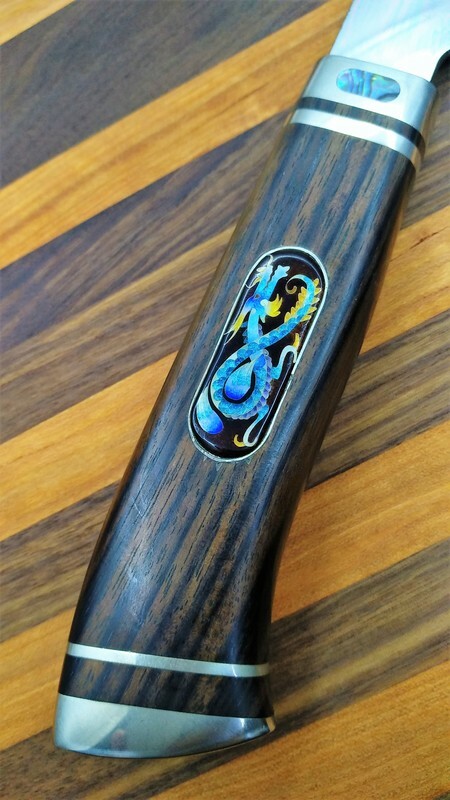 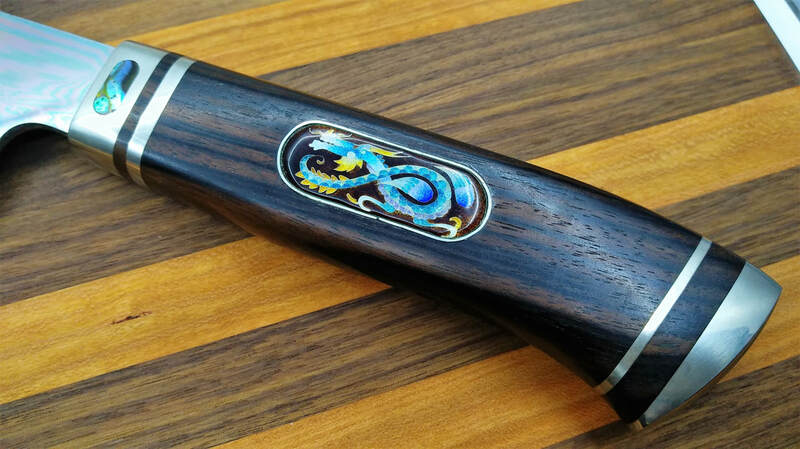 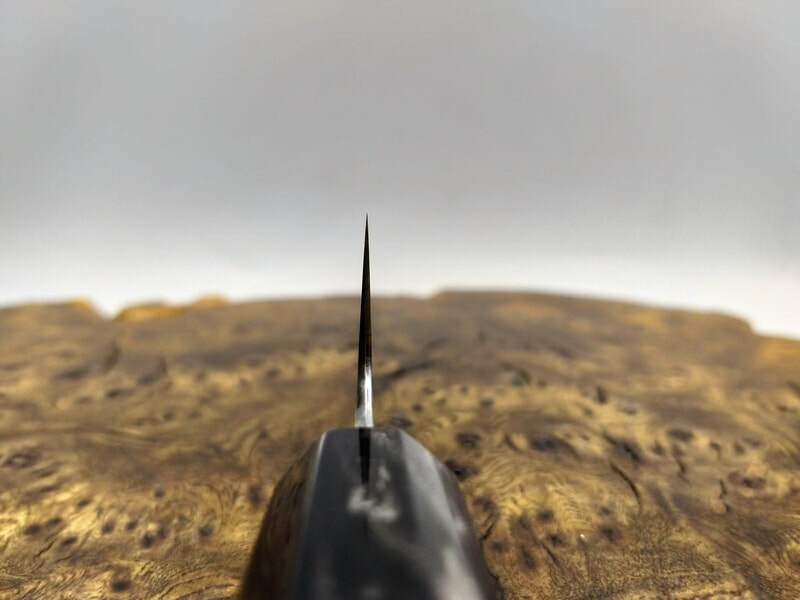 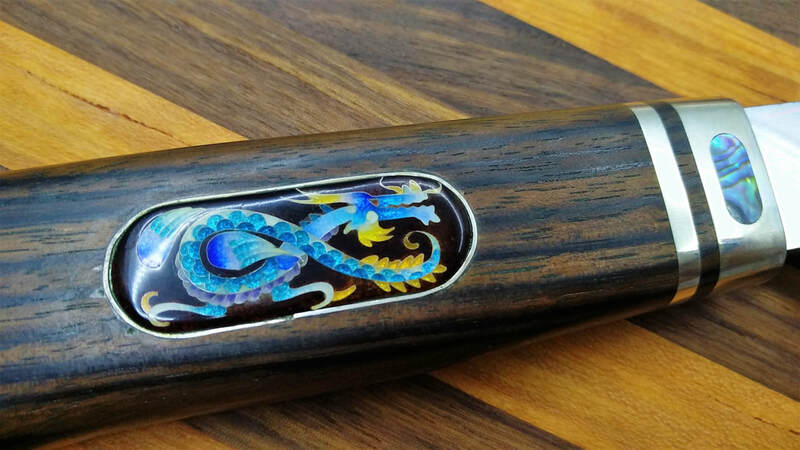 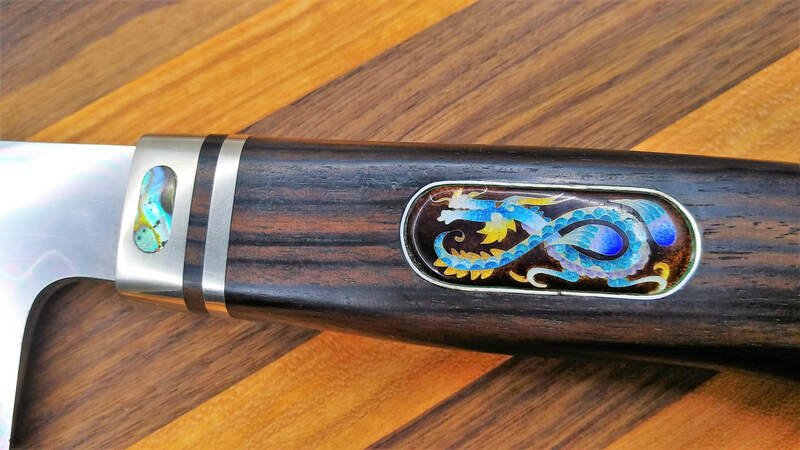 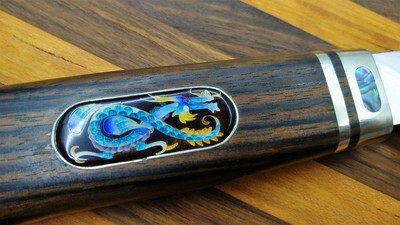 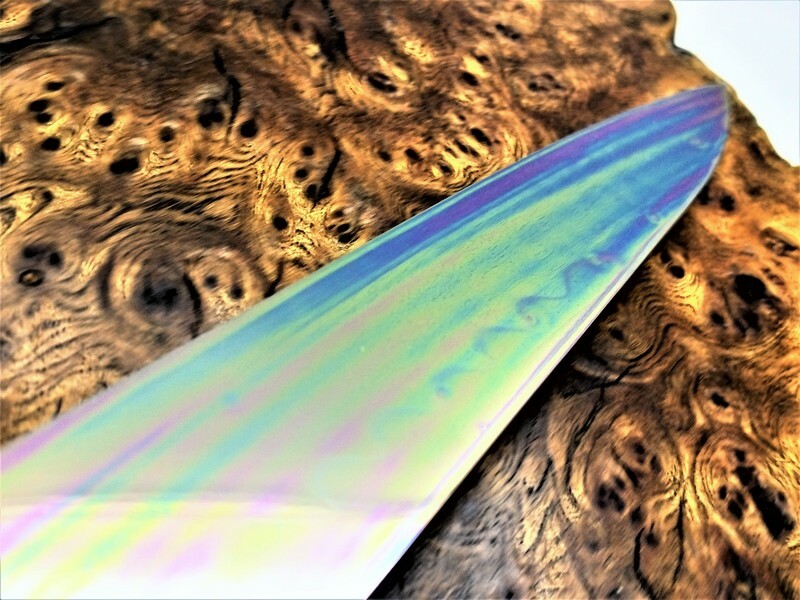 The handle is made of macassar ebony with Cloisonne Inlay of a dragon design. 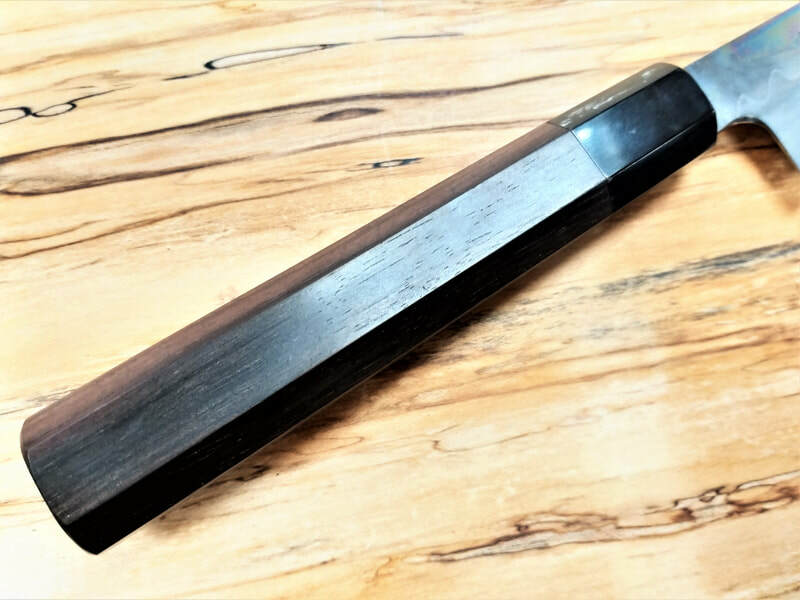 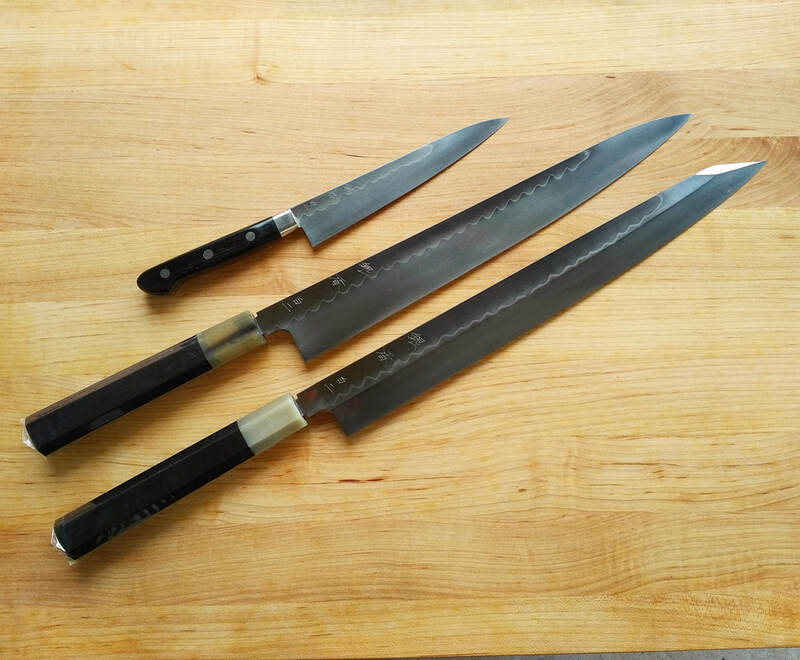 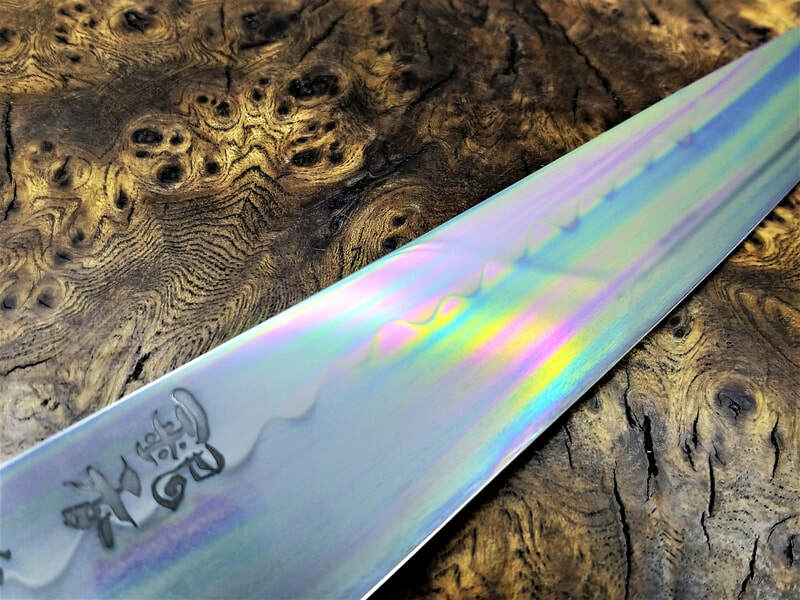 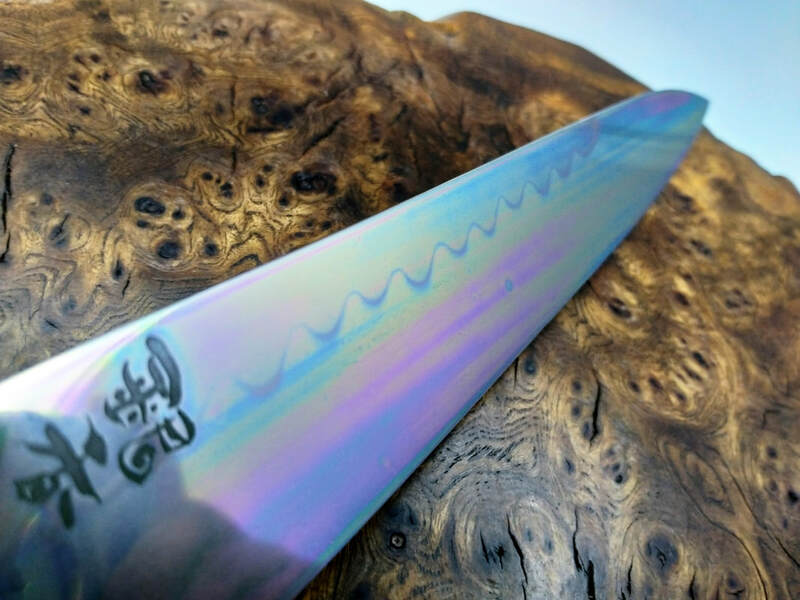 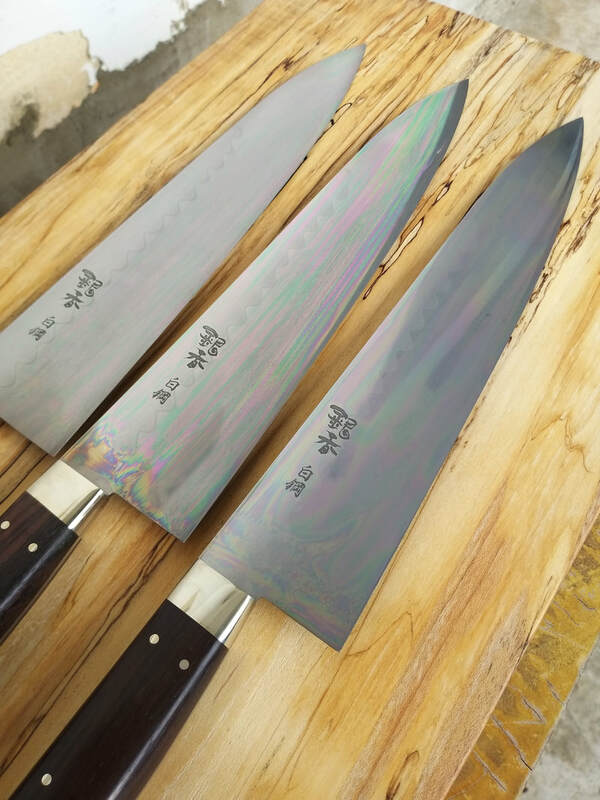 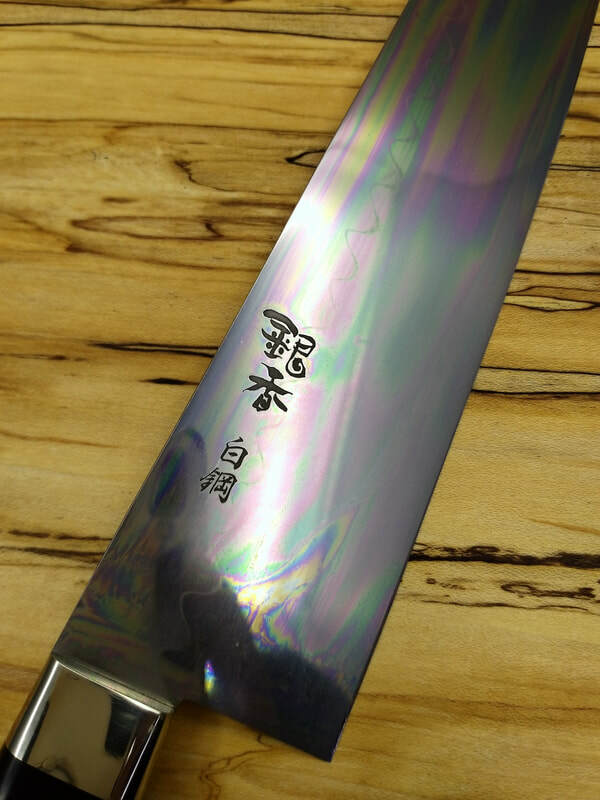 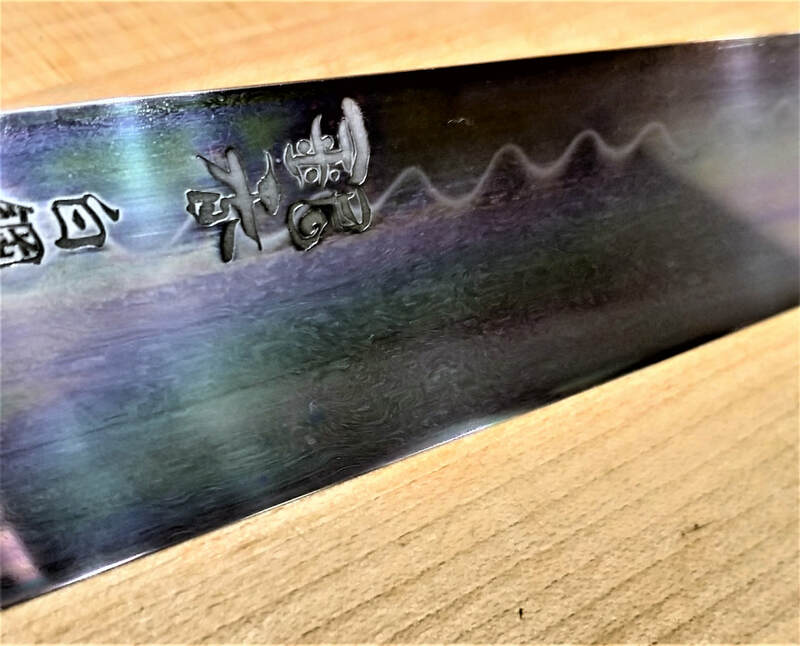 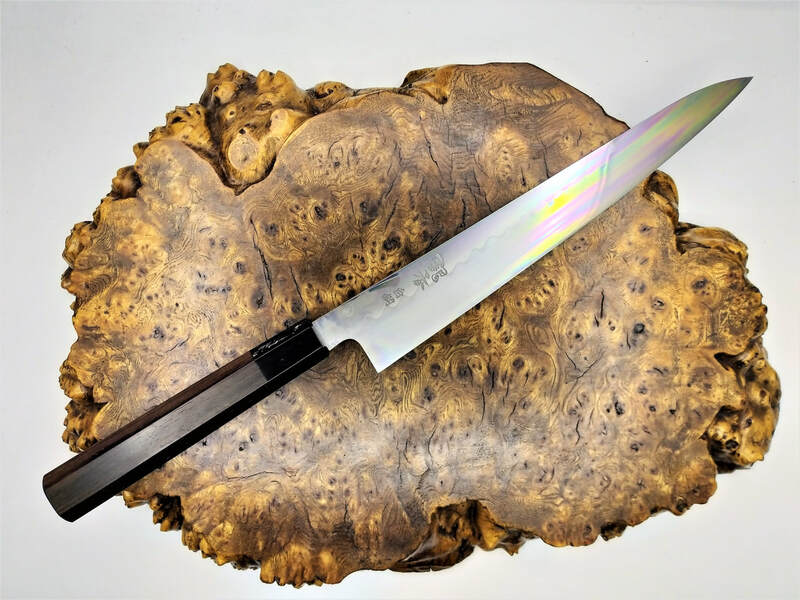 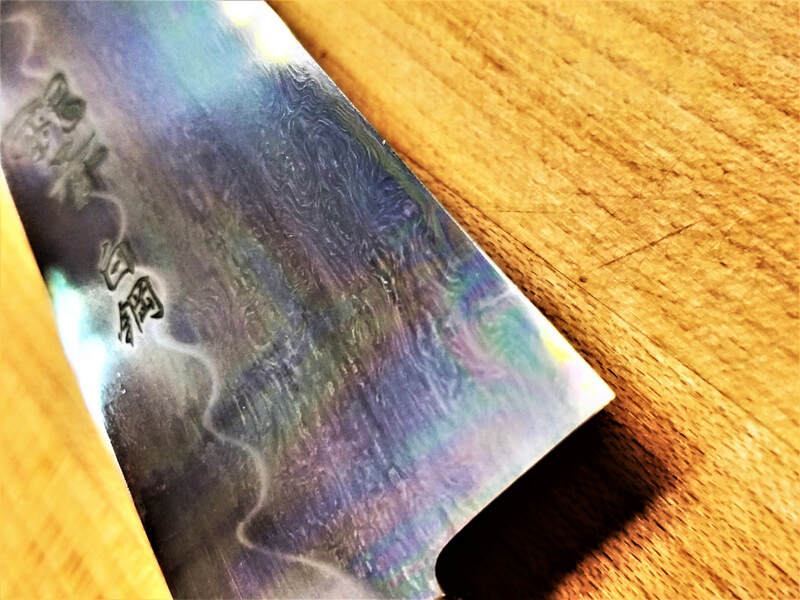 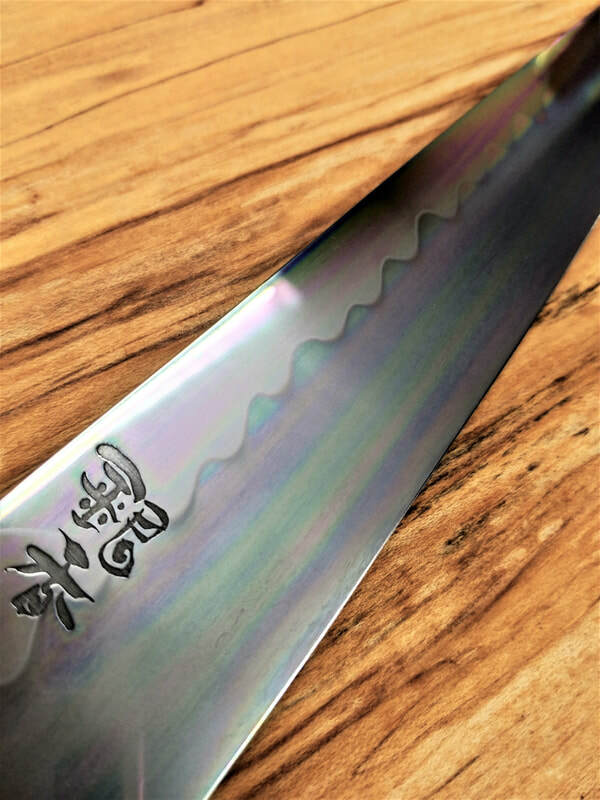 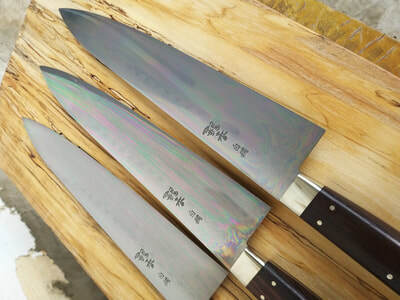 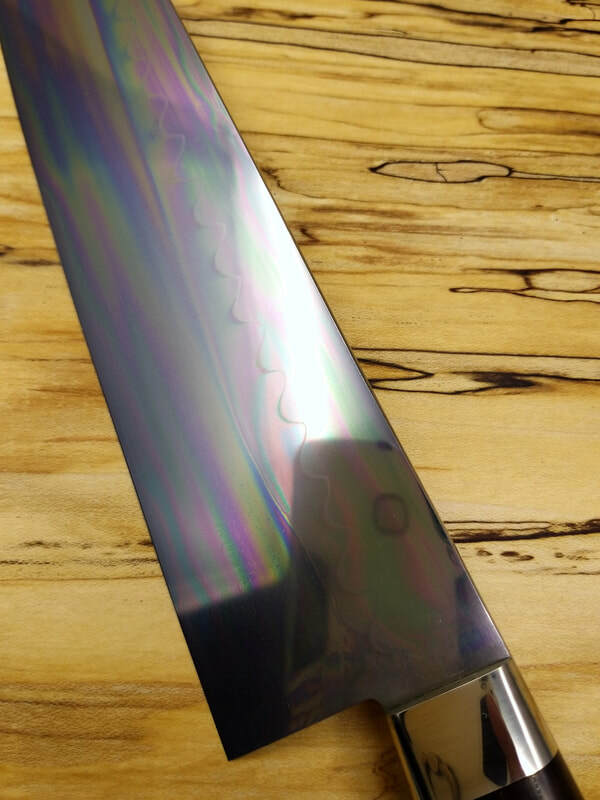 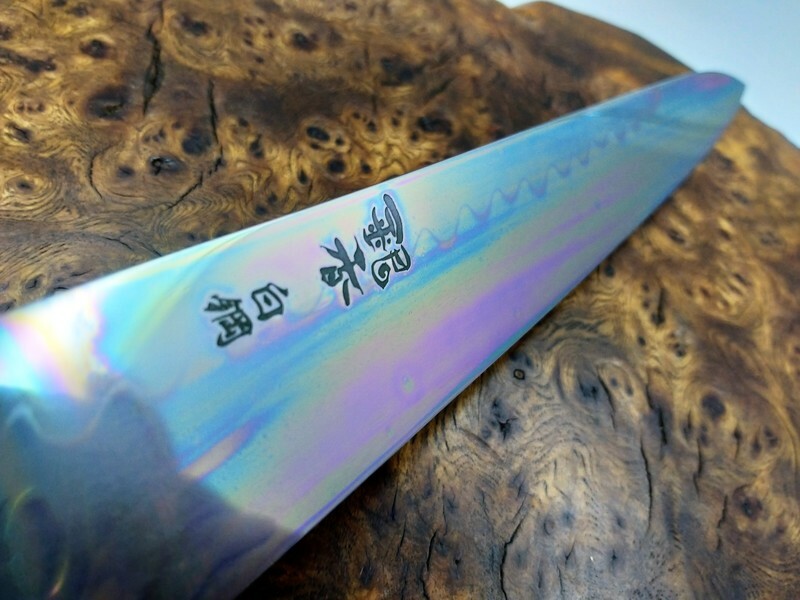 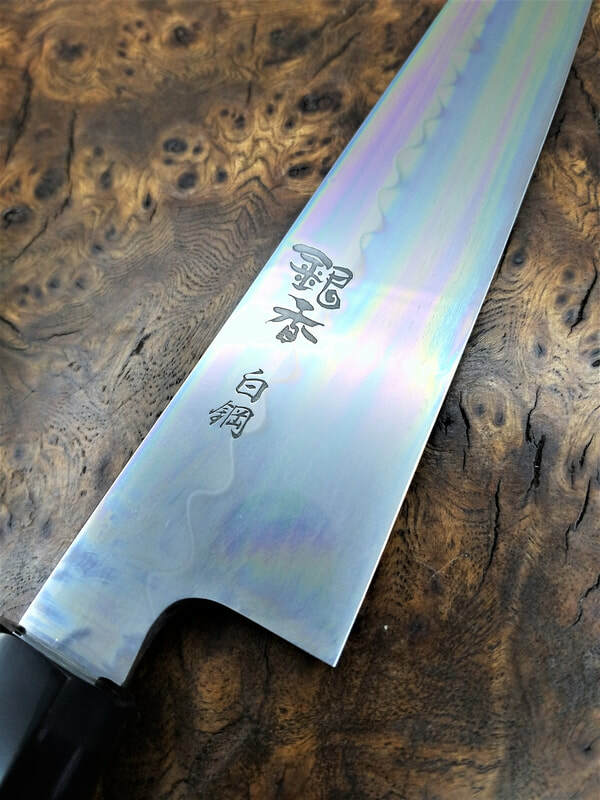 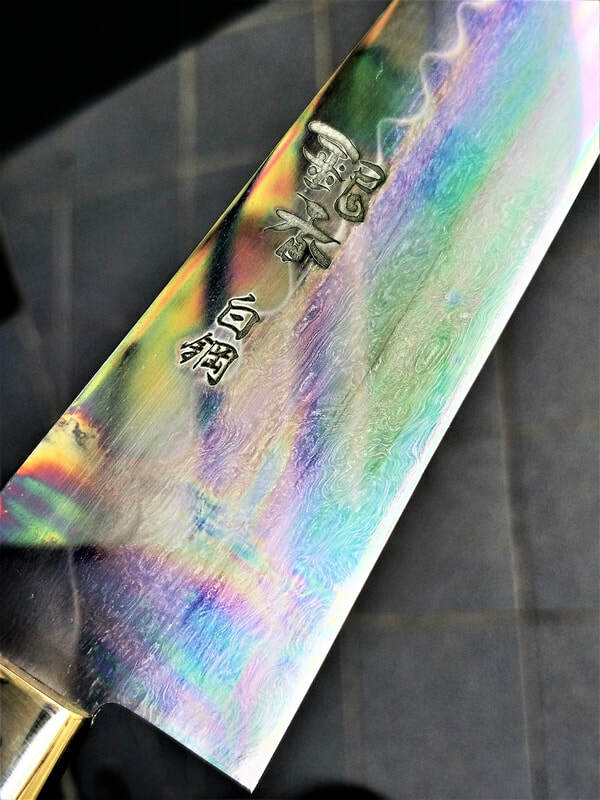 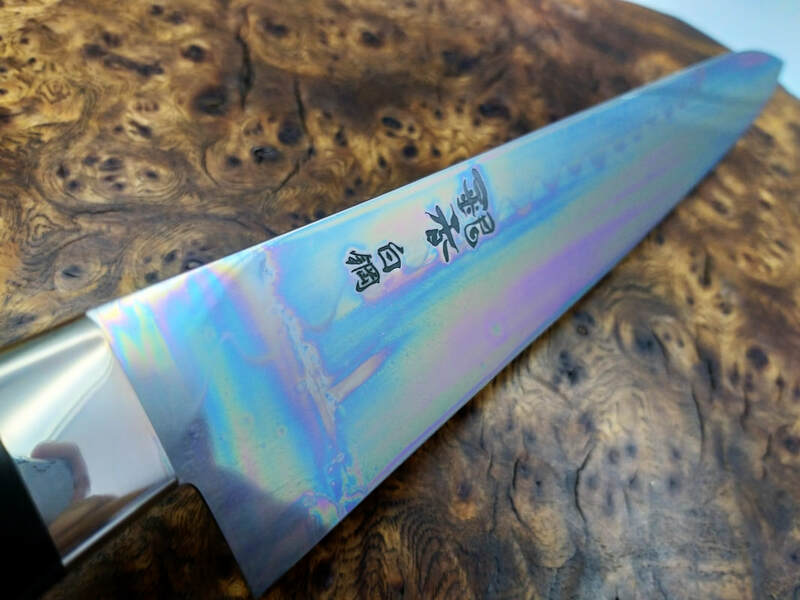 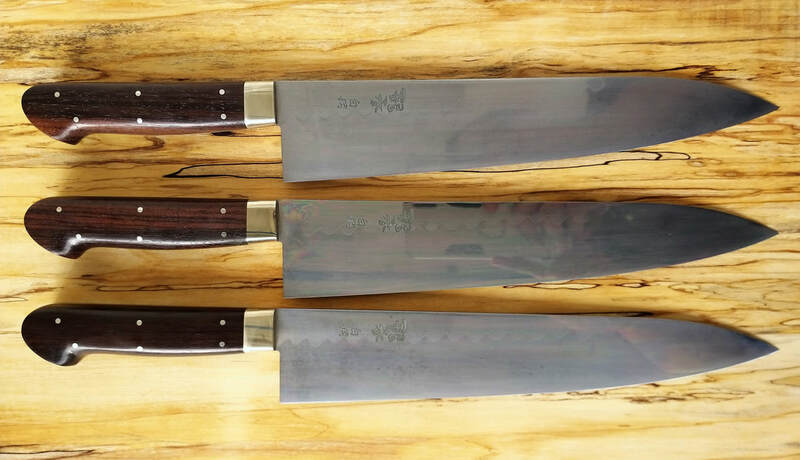 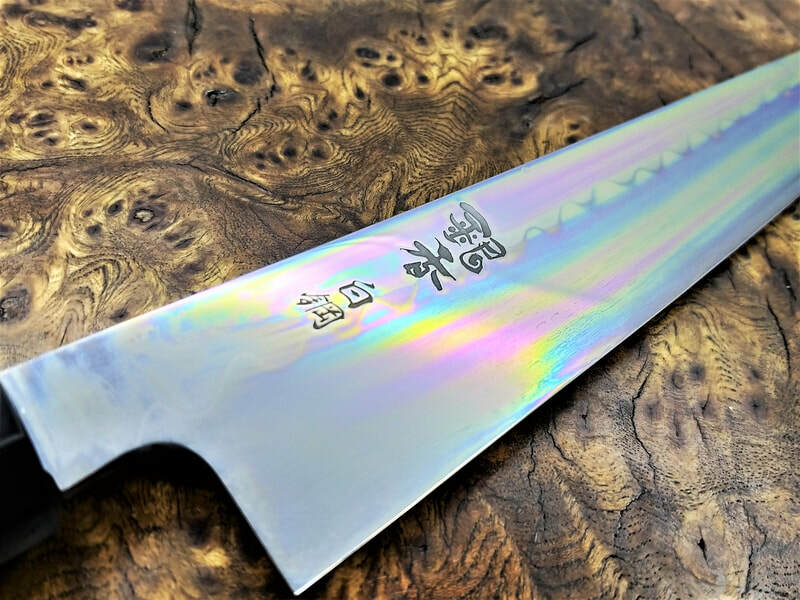 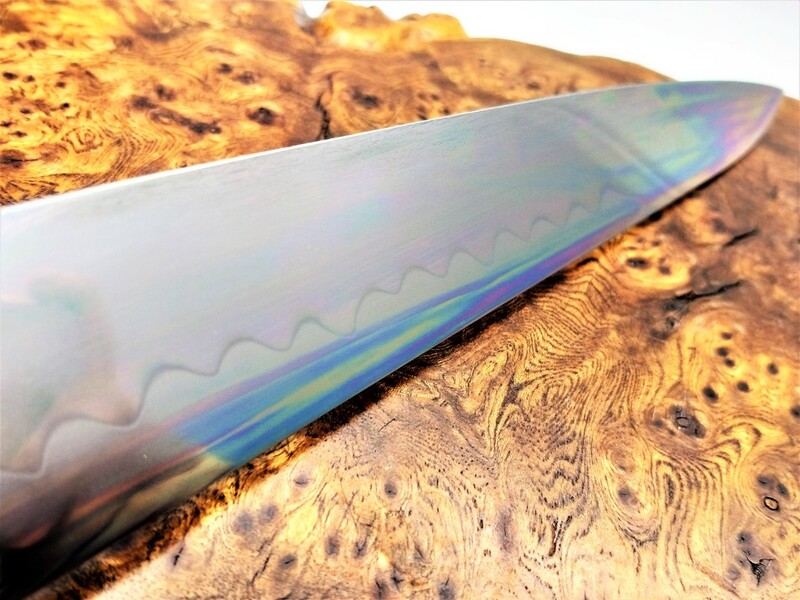 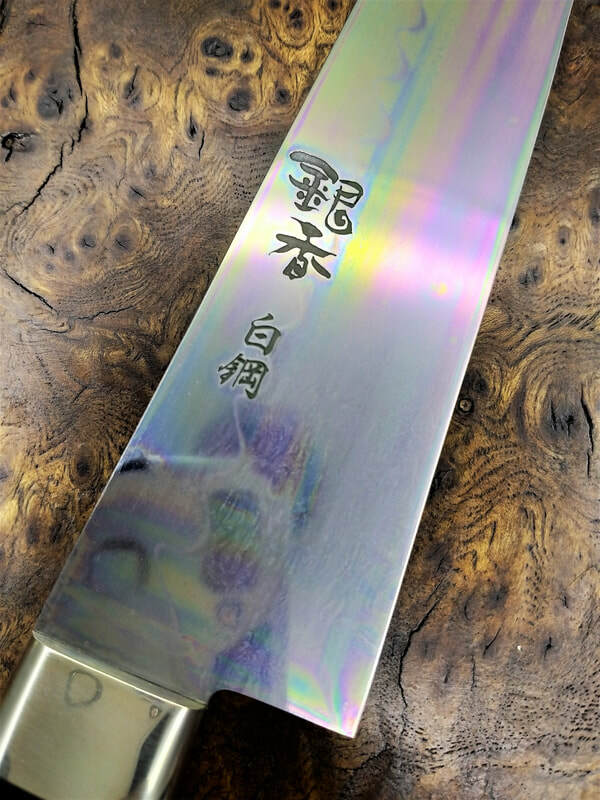 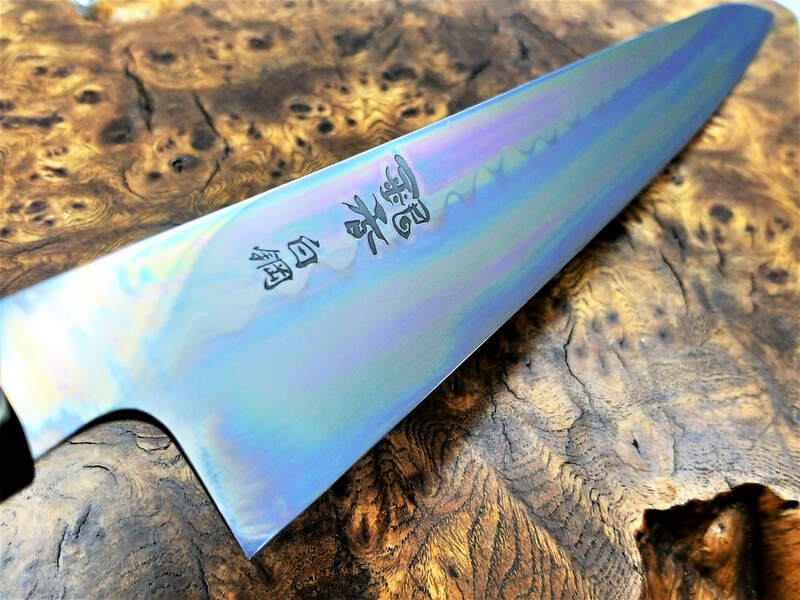 Extremely rare mirror polished honyaki knives by Ashi hamono (Ashi Ginga) Ashi is one of the rare makers that do all the in-house work from blacksmithing, blade shaping, sharpening, polishing, handles, engraving, then selling knives under their own brand, Ashi Ginga. 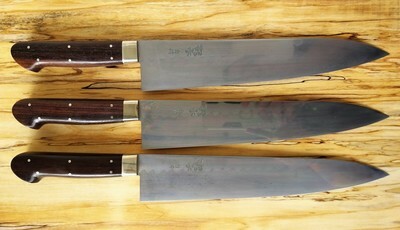 Their honyakis are much sought after, with 4 years backlog! 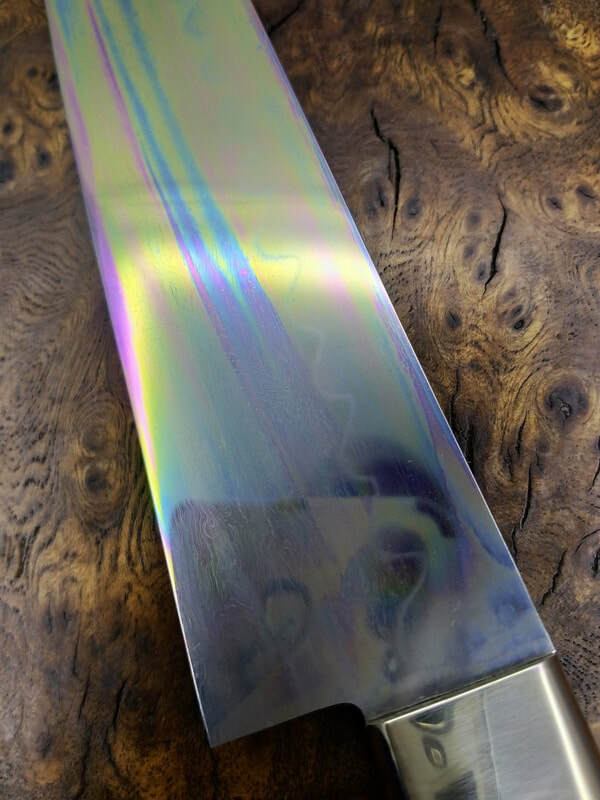 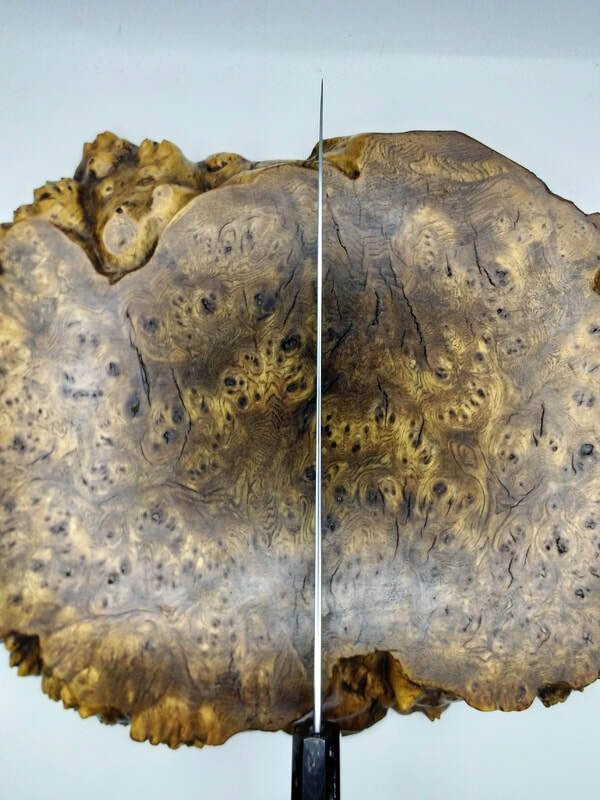 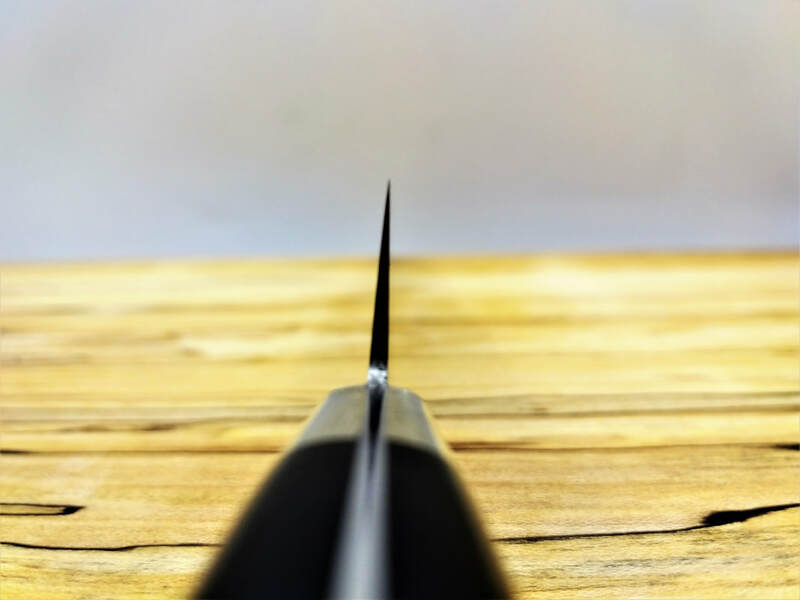 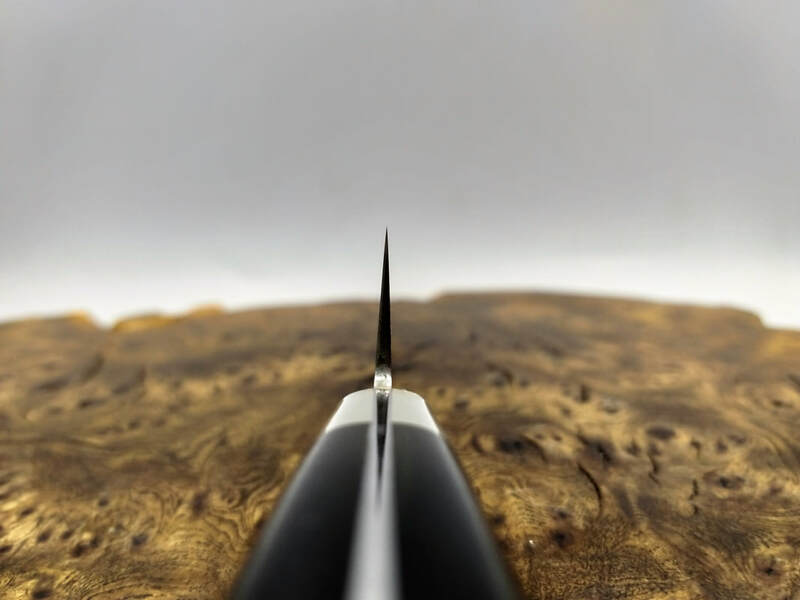 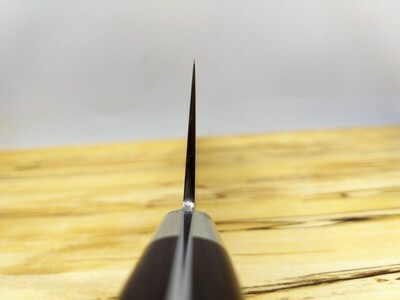 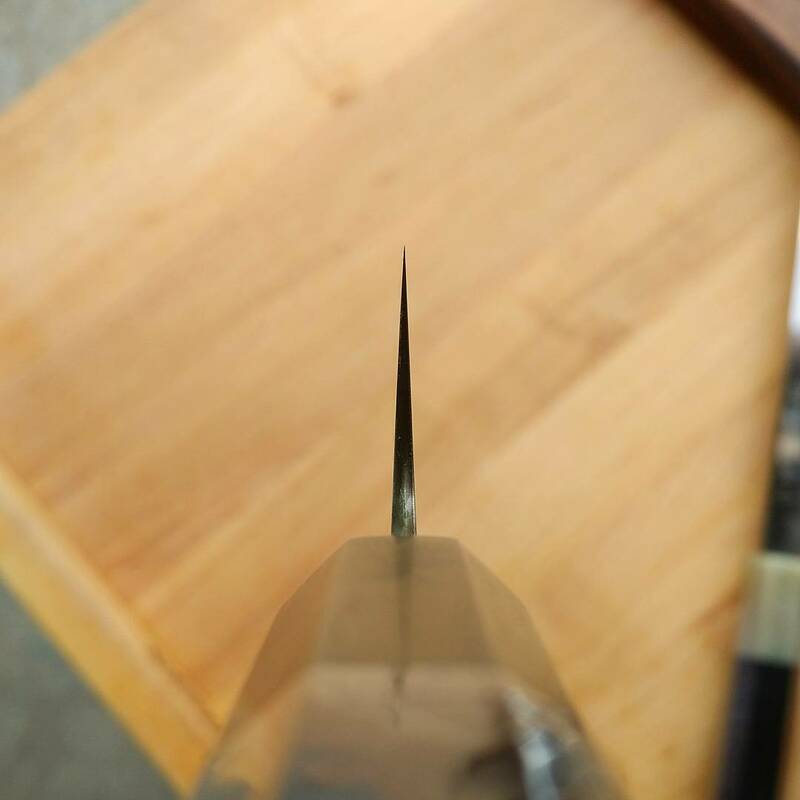 Renowned for their excellent heat treat, and special process of mirror polishing to coax out the beauty of the accentuated contrasting hamon lines. 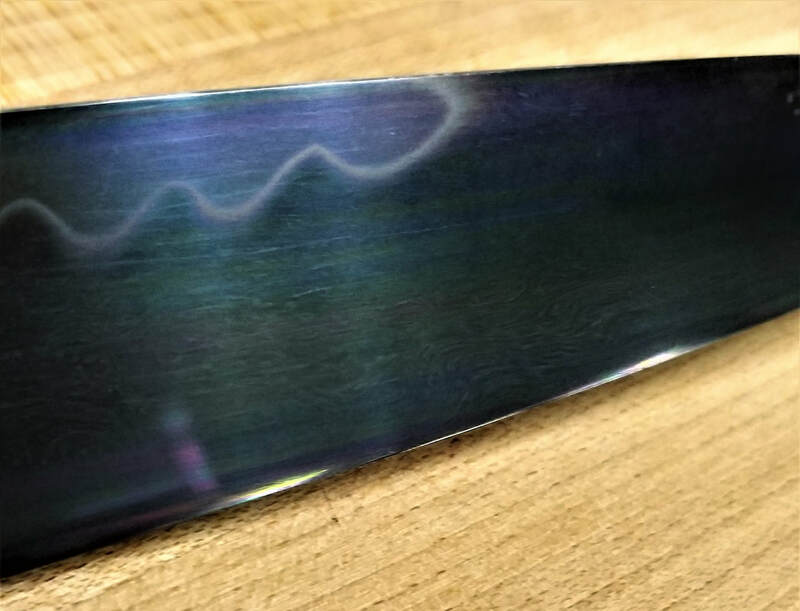 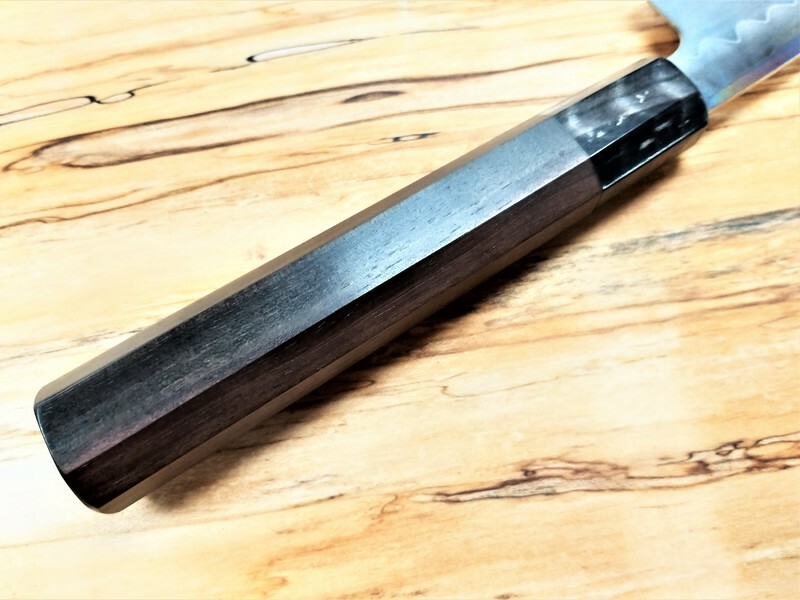 This is made possible by the special differential heat treat that changes the internal grain structure and color of the steel. 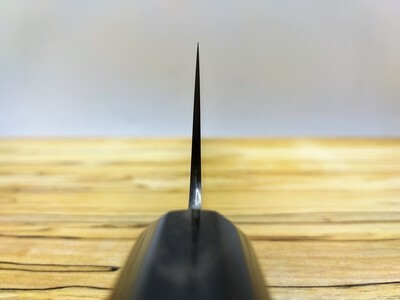 Below are some of the choil shots that show the laser grinds that Ashi is known for.